A skater’s first competition is one of the most exciting parts of the sport. All of the lessons, long hours on the ice, and money spent on equipment will finally pay off. Your skater will likely be nervous for their very first figure skating competition—so figuring out how to handle the situation can help keep them calm and stress-free. 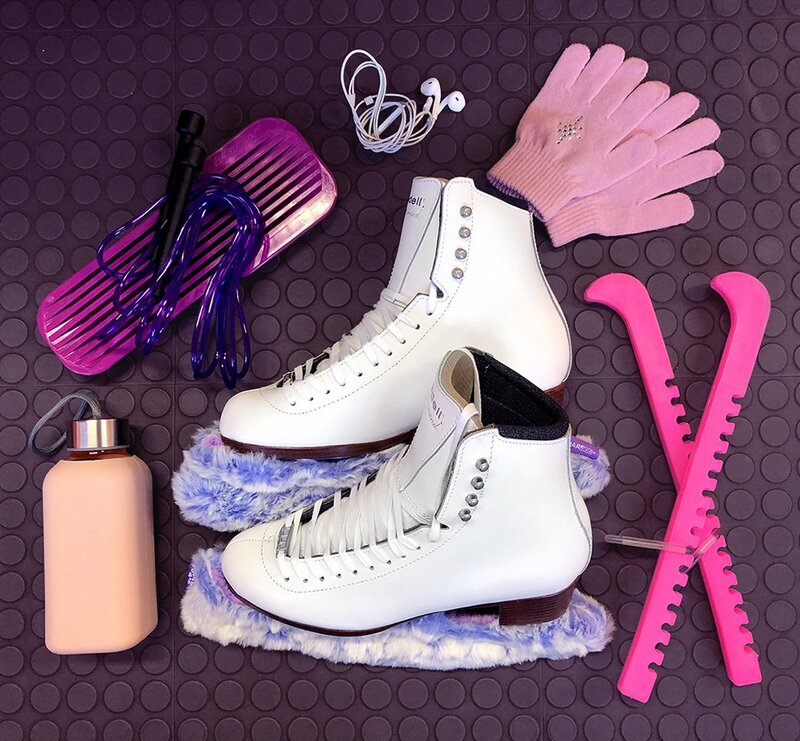 As parents of figure skaters, it’s important to make sure that your skater is not only focused and prepared for their competition—but has fun, as well. At Riedell, we’re proud to support the success of your skater. And with these tips, they’ll get through competition day nice and smooth. One of the most important things you can do for your skater is to help them prepare for the big day. Ask their coach to provide you with all of the information so that your child doesn’t have to relay it back to you—potentially causing some miscommunication. Also, make sure you know the times, places, parking information, rink information, and any other details that might be important. Ask other parents of veteran skaters for their advice, too! Help pack your skater’s bag ahead of time. Take the time to really put together all of the items they might need for competition the night before so they are not stressed the day of the competition. Things like competition outfits, extra tights, music, registration information, warm clothes, and a water bottle are good things to have in their bag. Before you start, make a checklist of all the things they will need for competition day. This way you can be sure you don’t miss anything crucial. Another thing that might benefit your skater is to learn how judging works at competitions. There are many different aspects to a skater’s competition score—including their technical score, presentation score, and final score, which is a combination of the first two. It can seem really confusing at first, but understanding this scoring system can benefit your skater in several different ways. When the day finally arrives, it’s important to stay calm for the sake of your skater. The first competition is always one where they are the most nervous. Stepping out onto the ice in front of a large crowd for the first time can be terrifying. Providing consistent support and encouragement for your skater will keep them focused and ready for the day. Competition days can be long, and the time of your skater’s event might vary. Having games or electronics to use throughout the day can make sure that your skater isn’t getting bored or tired from just hanging out all day. Having plenty of water and healthy snacks will also be beneficial. As the competition day goes on, make sure that you are paying attention to the time of each event and when your skater will need to start preparing. Speak with their coach about what to do and at what time. The coach will also be able to help you and your skater know when they should start to warm up and get prepared for their routine. It’s important to instill good sportsmanship in your skater. Even if they don’t do well personally, encourage them to congratulate other skaters. Model this behavior by encouraging other skaters and congratulating them as well. Children tend to mimic positive behaviors like these. Make sure that your skater speaks with their coach on what things they might need to improve upon for the next competition. Also, make sure to provide them with plenty of water and healthy snacks after their competition. Always remind your child to have fun while they compete in such a competitive sport! The first competition can be nerve-wracking for new skaters. Don’t let them stress any more than they have to with custom-fitted skates from Riedell. With boots tailored to fit the exact specifications of their feet, your skater can step onto the ice with confidence. Customized boots can provide exceptional comfort, show off your unique style, and make your first competition one of the most memorable. With over 65 years dedicated to researching and creating the best figure skating boots possible, Riedell can help you find or create the ideal figure skates for your child.